Because I’ve been receiving the same questions over and over again, I thought it was high time I write a post to explain more what handlettering is, why I chose this goal, what my end game is with picking this goal, and six of my favorite handlettering resources so far. Handlettering is basically just perfecting an artistic style of writing. It could be using a pen, markers, a brush, or calligraphy pens. There are a million different variations on styles — and they are all right because handlettering is an art form, not a systematic way of writing. 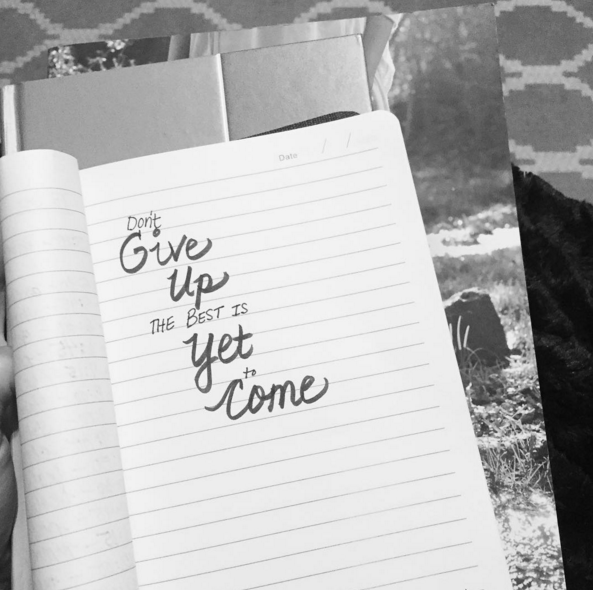 I’ve long admired the beautiful handwritten quotes I see on Pinterest, on walls, Instagram, and on products. But I always felt like that wasn’t something I could ever do, “because I’m not artistic”. And I let that belief hold me back from even trying handlettering. I was so afraid of not being able to do it, that I didn’t try. But then I realized how silly that was. If it was something I wanted to do, why should I let the fear of failure keep me from jumping out and attempting to learn something. So I’m jumping out and getting brave. Not only am I publicly posting this as my goal, but I’m also putting my imperfect progress out there on Instagram and here on my blog. This is kind of scary for me because I’m a perfectionist, by nature. But I hope that by putting my imperfect out there — and sharing my progress and practice attempts — it inspires you to pick an area of your life to get brave with. Truth be told, at first I felt almost a little bit embarrassed to put it out there that I had set a personal goal to do 5 minutes of handlettering every day. When I was thinking about goals, though, I realized this was something that would not only be fun and really inspire me, but it would be something I could use in many different ways. I can use lettering to write cards to people. I can use it to make signs to put around our house. I can use it to make graphics for social media. I can even use it to write pretty to-do lists every day! Most importantly, it’s a gift I can give myself: to be intentional about taking time to sit down and quietly focus on creating something beautiful. I also love that it encourages me to exercise a different kind of creativity than I usually am exercising — which I think is a very good and healthy thing to prioritize. 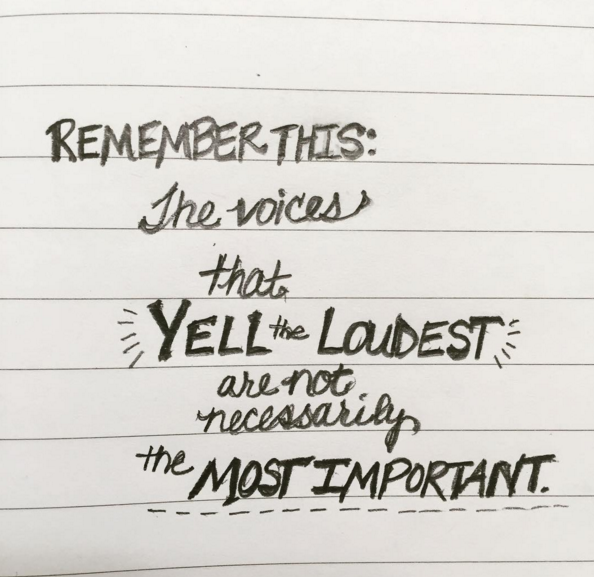 My longterm goal is to practice and improve in handlettering so I can write out quotes in a very artistic form so that these words would inspire myself and others. 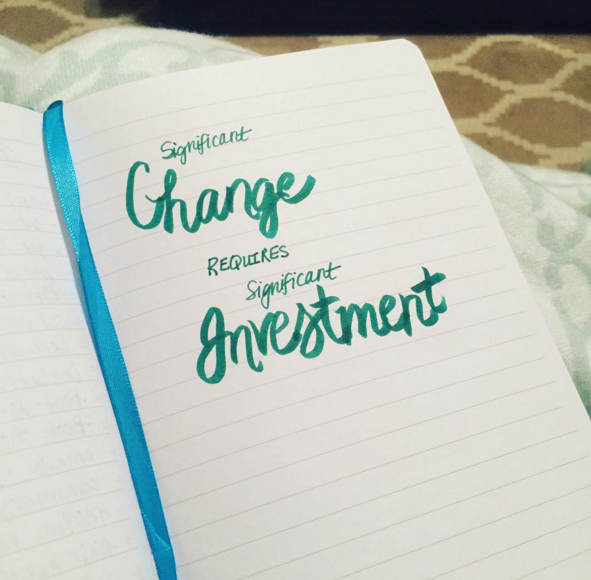 CreativLei — I credit Lisa with first sparking my interest in handlettering… I watched her on scope and was so intrigued that I started to peek into what it was. And little by little, I started to get the itch to try it and perfect it. 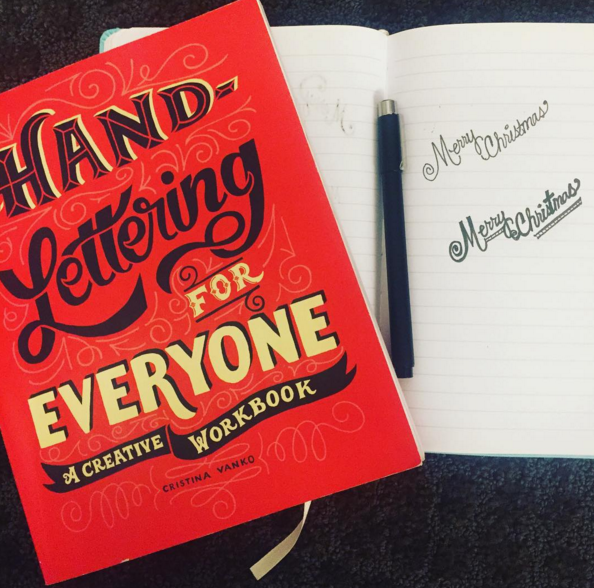 Hand-Lettering for Everyone — This book was a Christmas gift from MacKenzie and it’s what really inspired me to set the goal of daily handlettering in 2016 the first place. I had been toying with the idea, but when this book showed up, I knew I wanted to go for it. If you are looking for a beginning book to inspire with dozens of different ideas and handlettering styles, definitely check this one out. I love it! I love how they break things down so it feels so much more doable! Tombow Dual Brush Pen Art Markers — These are BEST markers! They are pricey, but they work so well and are so fun to use! LissLetters — Some of my readers recommended I follow LissLetters on Instagram and she’s really inspired. She posts a plethora of handlettering photos and videos and her work is amazing! The #Handlettering Hashtag on Instagram — There’s a wealth of inspiration by checking out the hashtag #handlettering on Instagram. Many creative folks not only share pictures but short little video tutorials –which I find highly helpful and instructive! Dawn Nicole — She offers a free online Art & Handlettering Class, too. Check out her Pinterest board here for more inspiration. You’re doing great! You have to start somewhere. When I started to learn Copperplate Calligraphy last summer, my letters were so poorly formed it was almost embarassing. But little by little there has been improvement — you’d be surprised what a difference 5 minutes a day will make! Another good lettering resource is http://piecescalligraphy.com/ — Sharisse is also on IG and is super nice. Keep it up! Thank you SO much for that encouragement and for sharing that resource! You’re always so inspiring! I’ve always felt that I’m not very artistic and not good at decorating or coloring or drawing. Recently, I’ve been inspired by my 3-yr-old daughter to start doing some coloring and I’ve downloaded some free adult coloring pages to try out and start doing a little coloring and put it on my blog once I finish it. Even if it’s not very good, it will be something I did and I am determined to be proud of my effort. My birthday is in March and I am planning on wish listing a few of these handlettering resources you mentioned. 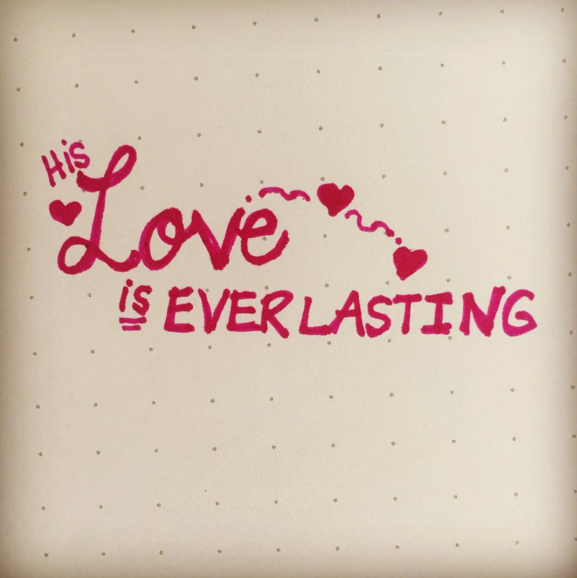 I love to write out scriptures that speak to my heart and I can see handlettering being a very relaxing way of doing just. Thanks so much for your kind encouragement! You are a blessing! Oh my gosh, what a great goal! I had no idea there was such a resource. I figured, you either could do it or you couldn’t. I love drawing out my chalkboard every month, but I always copy something on Pinterest because I can’t do my own. Thanks for sharing! I was intrigued by your mentioning “hand lettering.” Looked it up and I have been working on it now too! I always liked the idea just never realized that it was an actual practice. Simple way to enjoy creating pretty looking, inspiring quotes. I borrowed “Modern Mark Making” from the library and am excited to take a little time for myself and use some creativity! Feels so good! I also recommend the Sakura Gelly (sp?) Roll pens for handlettering thin lines, block lettering, or designs you fill in. The write like a dream! I think you would enjoy them if you appreciated the Prismacolor quality. Thanks SO much for recommending those! I’ve not heard of them! Do you have nice handwriting to start with? I have terrible handwriting so I am afraid that would make this more difficult for me. I personally think Crystal has great handwriting to start with. I remember thinking that back when she posted her weekly menu plan in the beginning of MSM days. BUT I will say- your actual handwriting has nothing to do with how you hand letter. Many hand letterers start with a pencil and lightly write what is inspiring them… this allows them to go back and erase and tweak each letter until it looks just the way they want it. Then they can trace over that with a dark marker and erase the pencil marks. Once you train yourself that way enough- it starts to just become your handwriting. That is how many people start out and develop a signature style. Each letter is it’s own little art piece. A year and a half ago, I had HORRIBLE hand lettering, and I practiced every day to develop my style- now I have a successful Etsy shop selling my hand lettered prints and am ready to launch my own site! I hope that it inspires you to give it a try even if you don’t feel like your “normal” letters are good enough! This is awesome! I love it! You’re doing a great job, keep it up. 🙂 I’m interested in hand-lettering now after seeing this post. I might give it a try. I don’t have great handwriting but I want to try to teach myself some of this stuff for chalkboard writing, etc…which book would you recommend for a beginner trying to learn? 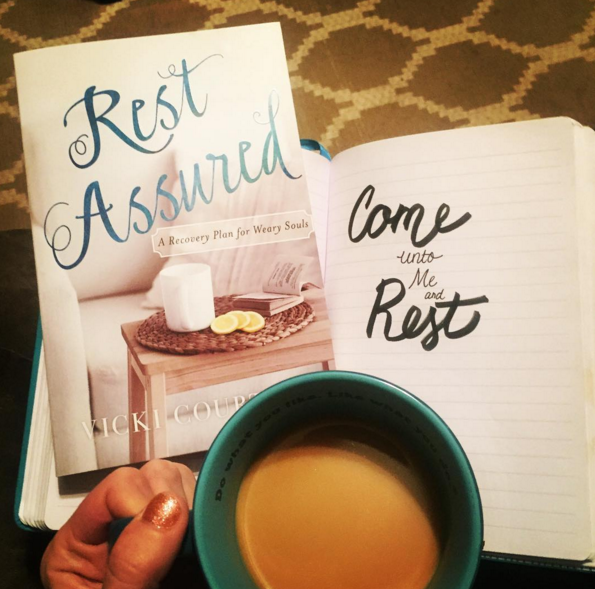 I’d say to start with some of the freebies I mentioned — there are some free worksheets you can download and go through. If you like it, then I’d suggest Hand Lettering for Everyone. I am just wondering if there is a way to see all your lettering posts? Is there a “hand lettering” category or tag? I just wanted to tell you that you don’t need to say that you are not creative.I personally have always thought that the way you “tweak” your recipes is very creative! I think that all people are creative in some way (we all have imaginations, don’t we) and that we just need to find our creative outlet. Good for you for finding a new way to be creative! Hand lettering looks like so much fun! That’s such a great word! Thanks so much for sharing! Wow, those look amazing! I love to write out quotes like this and have posted a few on Instagram, but wow! You have inspired me to work at this and make mine, well way better! Lol, that do not look all that great at all, but it is God’s word and inspiration so it will reach out. Thank you so much for this post and for sharing your doubts and insecurities. It really helps others find the courage to try new things! I love hand lettering also! One Artsy Mama on Facebook is a good one to follow. I love your beautiful handwriting on your pictures!!! It has inspired me to learn calligraphy! I am adding “5 minutes of hand lettering” to my routines. Thank you for the resources!! !